Beach Weddings by Carole Cyprus knows too well that organising or planning a beach wedding is never a simple task. And for such reason, this company aims to provide comprehensive wedding packages to help every couple have a memorable and beautiful wedding day. Through their Cyprus wedding packages all inclusive, the bride and groom can relax, knowing that every wedding detail is taken care of. These packages are individually tailored to the specific requirements and budget of each client. The soon to be Mr and Mrs can opt to have a formal or informal beach wedding without hidden extras. In addition to that, this company can also take care of the food and music for the event. From organising an open buffet BBQ to hiring a DJ for the event, they can make it happen. Beach Weddings by Carole Cyprus also assures that every couple will not lose control of the wedding plans. And whether the couples opt to have a solemn ceremony or a big splash, this company can do it. According to them, “At Beach Weddings by Carole Cyprus, we’re a family-run business, so we understand the importance of making sure that your wedding day really is the best of your life. While you retain control over the size, formality and style of your wedding, we take all of the hard work out of the planning, sourcing suppliers and so on”. Furthermore, this wedding organiser understands that arranging legal requirements is also a must for weddings. That is why they ensure that the married couples will have all the necessary details to make the wedding legally binding. Beach Weddings by Carole Cyprus offers a particular package for such legalities. The packages include all costs incurred for an International marriage certificate and Registrars attendance, provision of required paperwork, and more. This wedding organiser is proud to have coordinated and planned weddings in 11 destinations around the world. And with over 14 years of wedding experience, they assure all clients that they have the relevant skills and knowledge to create a stunning and well-organised wedding day. Moreover, Beach Weddings by Carole Cyprus would like to inform all interested parties that the ceremonies can be held on their private yacht or sandy beach depending on where the clients’ have booked. To know how to avail of their wedding packages, head out to their website at www.weddingsincyprus.co.uk. 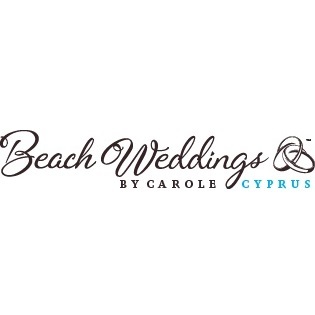 Beach Weddings by Carole Cyprus is passionate about helping couples plan and organise their wedding day. From the venue, food, music and even the legal requirements, this company can definitely take care of it. To know more about them, you can check out their website at www.weddingsincyprus.co.uk. As for your enquiries, you can send them an email via lynette@weddingsincyprus.co.uk or call +44 (0) 208 981 4546.